When you are on keto, one big trouble is having pretty much the same items every single day!! Paneer, Chicken, may be some fish or prawns on a few days , but yeah, Pretty much this! Innovating with the same ingredients can be a challenge, but hey! That’s something I’ll be helping you with today. Super simple, super easy recipe, and did i mention, SUPER YUMM Too?? What’s even better is that anyone who’s not really “dieting” can also try this recipe and is bound to love it! Here is a keto chicken kebab recipe, that is ready in minutes and tastes like heaven!! let them get golden brown on one side before you flip them over. This should take about a minute or so on each side. Once they are golden brown on both sides, serve them with some dips of choice, or your favorite paranthas and have a delightful meal. 4. Break the coriander sprigs in to smaller bit when adding in the mix, as compared to chopping them, as coriander tastes heavenly in the kebabs, once it is done. If you try this recipe, do tag me on your Instagram stories! If you liked this recipe, do SHARE it ahead! 6 Things Parents of Newborn Twins Should be prepared for! Looks yum! Totally trying this. Though I am a vegetarian but still these are looking great options for people who are trying to follow keto diet. Oh this is such a yummy recipe. Although not on Keto diet, I will definitely try to make this. May I request you for a similar quick and delicious recipe with tofu /paneer. Being vegetarian I need that :). But this recipe will get lots of love from chicken lovers! thank you for the simple recipe, i will try this soon. keto or non keto, this can be tried by everyone and enjoyed. I love to try out new dishes while at home. Will surely try making these delicious kebabs some time soon. Thanks for sharing the recipe. My son and husband love chicken and would love to try these kebabs. I can’t wait to try these at Home. Amazing and beautiful post. 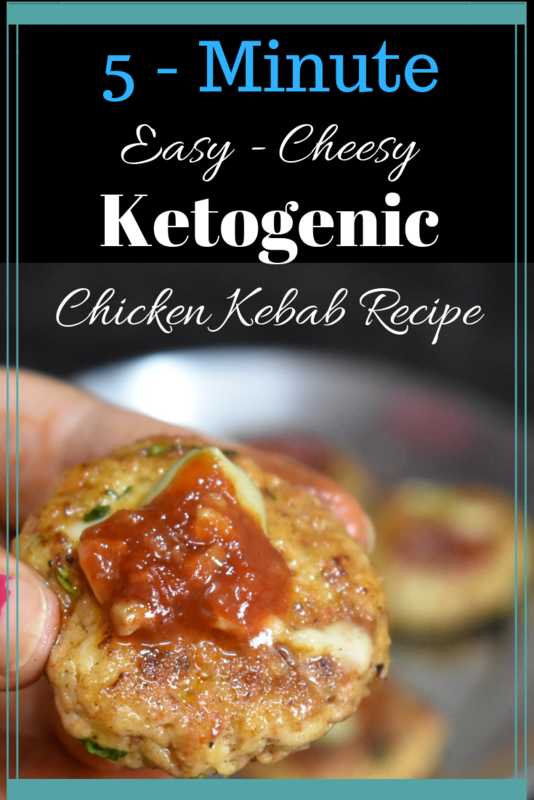 Cheesy keto chicken Kabab is so tempting and mouthwatering. This is so nutritious and healthy. Great recipe. I’ve watched your video in Instagram and yes it’s super quick and easily made from all available ingredients in the kitchen. Would love to try.